5KRunDead zombie runs will exceed your expectations for fun! 100% of proceeds will benefit scientific research on cancer and Alzheimer's disease. 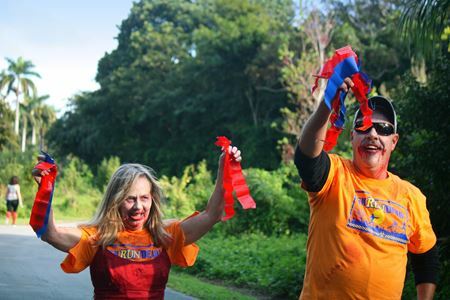 Runners will endure a 5K run through a zombie-infested course. Test your speed, endurance, and strength while trying to avoid ravenous zombies! Runners will have flags that represent their health. Zombies will try to steal those flags. Runners must make it to the finish line with at least one flag or become one of the walking dead! All participants receive a free 5KRunDead t-shirt, refreshments, and a chance at great prizes! Running races calendar in Marion for finding running races.